Fishers real estate is popular with anyone looking for a great place to raise a family. The town of Fishers continually receives accolades as one of the nation's most desirable places to live. Recent recognition includes America's Friendliest City (Forbes.com), Safest City in the Nation (CQ Press) and Best City for Families (TLC.com). CNN Money magazine routinely gives Fishers a Top 10 spot on its list of Best Places to Live in America, and Business Weekly designated Fishers the Best Place in Indiana to Raise a Family. Scroll down to see the latest Fishers homes for sale. All this praise comes as no surprise to anyone who lives in Fishers. The town's residents enjoy a highly-rated school system, as well as numerous parks, playgrounds, festivals and sporting venues. The newly opened Nickel Plate District Amphitheater in downtown Fishers hosts Movies in the Park and summer concerts, and Saxony Beach is the perfect place to spend lazy summer days. On a nice day you'll find walkers, runners and dog walkers out taking advantage of the pedestrian paths that border most roads throughout the town, connecting neighborhoods & neighbors! Geist Reservoir features spectacular waterfront homes and is a popular recreation destination for boaters and watercraft enthusiasts. Fishers also has the advantage of a convenient location at the intersection of I69 and 116th Street, just two minutes north of the Indianapolis/Marion County border. Easy access to all the main thoroughfares makes Fishers real estate especially attractive to commuters. 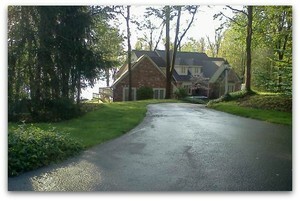 Fishers real estate comprises a variety of beautiful neighborhoods with homes in all price ranges. Whether you're a young couple looking for a starter home, a family seeking some extra space or an executive in search of luxury and style, you can find it in Fishers. Below you'll find the newest homes for sale in Fishers. This information is updated daily. To search all homes for sale in Fishers or anywhere else in the Indianapolis area, just fill out the property search form above. When you sign up for this free information, you'll begin receiving e-mail alerts as soon as new homes that meet your criteria come on the market. You'll also be alerted to price changes for any homes you've already viewed. Listing courtesy of Keller Williams Indy Metro Ne. Listing courtesy of Century 21 Scheetz. Listing courtesy of M.S. Woods Real Estate, Llc. Listing courtesy of A G Wheeler Realty, Llc. What is your Fishers home worth?